An event coming up soon in Victoria’s High Country might be a good way for you to spend a few days away from the office. This great exploration of the Victorian High Country was cancelled last year because of the impact of bushfires in the area. It’s back bigger and better than ever this year, with plenty of day and overnight trips to choose from – tagging along with an experienced local guide making things easier and more interesting. 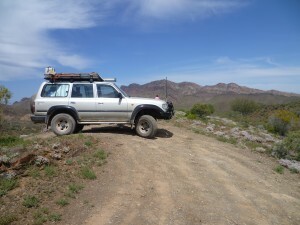 If you register before January 31 at www.beyondhotham.com.au you’ll go in the draw to win a set of Mickey Thompson tyres.